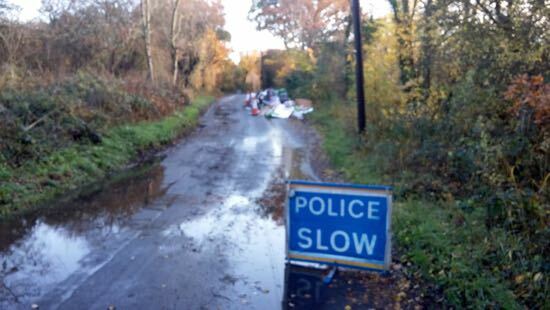 Police warning signs have been positioned either side of a large dump of fly-tipping along Bulls Lane between Bell Bar and Welham Green. It's the second time rubbish has blocked the lane in as many weeks. 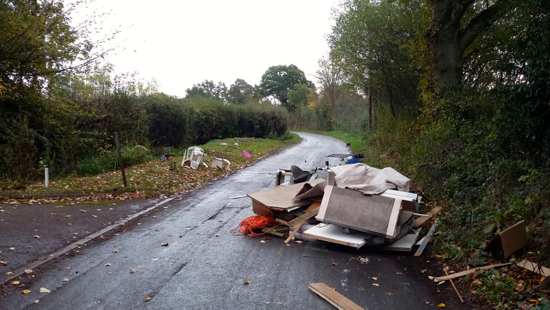 On Sunday 28 October Bulls Lane was completely blocked until passers-by cleared a path for vehicles. 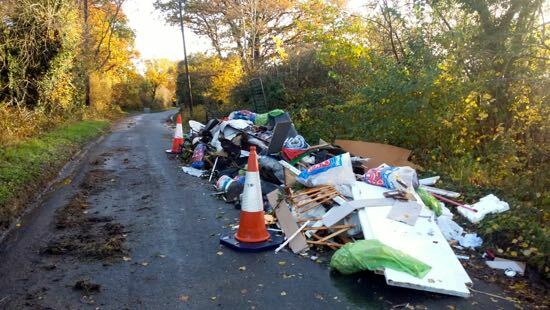 Bulls Lane, along with nearby Bradmore Lane, are well known local fly-tipping black spots.